This is another post in my series on how to self-publish. Today, I’m discussing the costs of self-publishing before you get to promoting your book. You can look at self-publishing as a business with upfront capital costs or as a pricey hobby. Either way, get ready to shell out money before posting your book with an e-tailer. 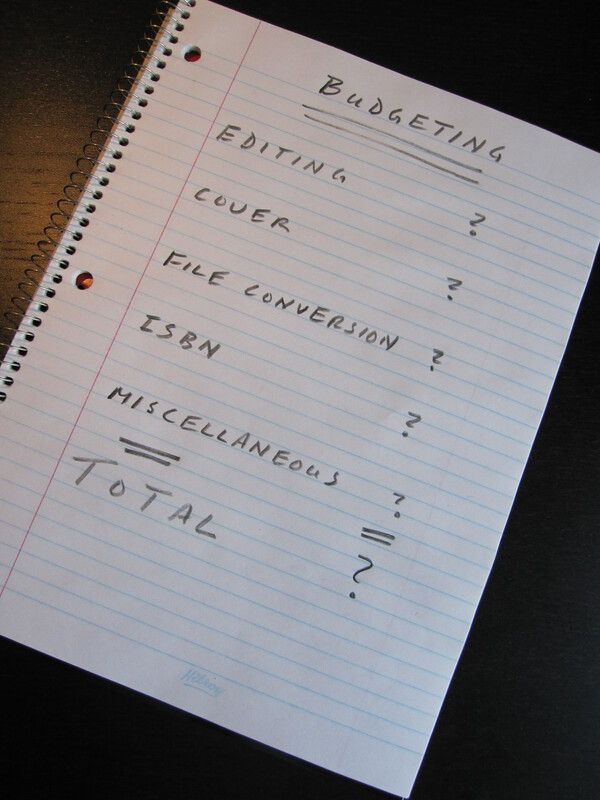 What you’ll likely pay for is editing and cover design. You might also pay for formatting and file conversion, and an ISBN. To stand up to the competition, indie authors need to be as professional as possible. Few have the abilities to escape an editor. I’ll post more on this later, but there are categories of editing. The number and names of the categories vary, but, roughly, they break down between developmental editing and copy editing. A developmental editor critiques your manuscript for plot, pacing and characters. A copy editor comments on consistency and language, including grammar and typos. Editing can cost from $1,000 to $5,000 and beyond. It will depend on the quality of your manuscript, whether you have separate editors for developmental and copy editing, and how well-known and experienced your editors are. Make sure your manuscript is as polished as possible before submitting it. Consider an editor who combines developmental and copy editing. Get an estimate from an editor ahead of time and keep tabs on hours spent. The old adage, “you get what you pay for”, applies. Cover design is another area where indie authors need to meet, or better beat, the competition. While some indies dabble in this, most don’t. You can find premade and basic covers for under $100. For custom design work, budget a minimum of $300. Many authors write in Word. However, a Word document must be converted into another file type before posting on a digital book site. Most sites convert for free if the Word document is formatted to specification. Some of us prefer to worry about other things or incorporate interior design work, and outsource this. For this, budget $250. Finally, an ISBN (International Standard Book Number) is often required. We Canadians are lucky, because these are supplied free by registering with Library and Archives Canada. Residents of other countries often have to pay. Assuming $1,500 for editing, $400 for cover design and $100 for miscellaneous costs like printing, $2,000 to self-publish a single manuscript is reasonable. It’s easy to spend more, and I highlight this is before promotional costs. To minimize pain, know what you’re getting into and keep a budget. As they say, money isn’t everything as long as you have enough, so it’s worth paying attention to the costs of self-publishing.